I basically love anything carbs to be honest. Fries, mmmm! I loved reading your answers, I enjoy getting to know fellow bloggers! I played the flute too, how funny! Thank you SO much for thinking of me, so sweet of you! I have actually already done this twice, I will like them in the bottom if you want to check them out. I will go ahead and answer your questions though! 1. How long have you been blogging? -I've been blogging for over 3 months and loving it! 2. What is your favorite movie? -I have too many, but anything with Channing Tatum I can watch all day 'err day! LOL!! 3. What do you love to do besides blog? -I love spending time with family and friends, watching movies, shopping, taking road trips...the list goes on! Hehe! 5. Are you an introvert or extrovert? -I would say I'm more of an introvert. 7. What was your biggest beauty splurge? -Hmm, honestly I don't think I have something that I've really splurged on...I like to use coupons when I can or find really good deals. One thing I do want to splurge on though, is a good skin care routine or the Marc Jacobs foundation. 8. High end makeup or drugstore? -Both, I have a good mixture of both. 9. What is your fave comfort food? -Mmm, I love any comfort food. But my mom makes the best "arroz con leche" it's a hispanic dish, it's basically a rice pudding dish...mmmm!! 10. What was the best vacation you ever went on? -I think my honeymoon and when we went to California...yeah that would have to be it! Thanks for stopping by and answering my questions anyways! OMG, I've loved Channing for a very long time (since the first Step up). Magic Mike was well...magical LOL! I'm right behind you with how long I've been blogging, tomorrow will be 2 months! I'll def. 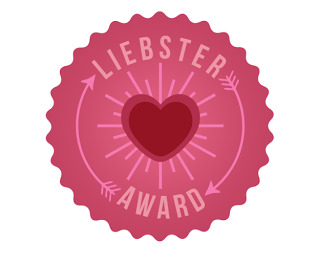 go check out your previous Liebster posts! Ahhhh you are too sweet and too good to me!!! Thank you for thinking of me my love! I've done this tag before. But I'll be happy to leave short sweet answers for your questions! 3. I love being with my family. My husband and son are the two most precious gems in my life. 6. We stay local for the holidays. 7. Biggest beauty splurge... I think my Smashbox Master Class Palette was the most pensey palette I have. 10. I've never taken a REAL vacation before... However, one getaway weekend was super romantic. I surprised my husband with a trip to San Antonio for his birthday. We stayed at a nice hotel right off the River Walk, it was awesome! You're very welcome my dear! :) And thanks for still taking the time to answer my questions! I have a feeling most of us bloggers are introverts. I'm going to a blogger meet-up in a few weeks and I know I'll be super anxious not knowing anyone haha! Yup, I live in the Boston area too! I like your blog and just started following you. I've only seen a few other Boston beauty bloggers. Hi beautiful! Thanks for the nomination I will post this as soon as humanly possible. Yay, can't wait to see your responses!